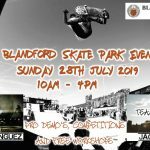 Redditch skatepark is a large wooden skatepark that can be found on the outskirts of town and features a street section and a rhythm section. The skatepark is split into two parts, the fist is a rhythm section. This features a half pipe and wrapped around this is two spined half pipes the are hipped on one end with another half pipe spined with a final one. Next to this is also a small back and forth run with driveway , hubba, flat bank and quarter pipe. The street section here has flat banks and quarter pipes surrounding the skateable area with jump boxes, a pyramid and a spine in the middle. 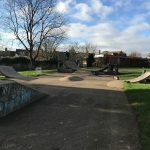 Redditch skatepark is a great local spot. There are a lot of large obstacles here that are good for getting air off and the obstacles are well spaced giving a decent run up to them. 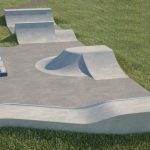 The grounding may be tarmac but the wooden obstacles are grippy meaning that this is a great place to come and practise the basics as well as if you are more experienced and wanting to practise those harder tricks. 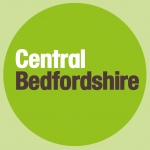 Redditch train station: As it is a long distance from the station it would be recommended to get a bus or a taxi to get to Redditch skatepark. Ipsley Lane bus stop: Exit the bus onto Icknield Street Drive and head south until Redditch Skatepark is on your right. The park has toilets and a tuck shop.